This update is courtesy of FINAlternatives’ article, “RBC Launches Liquid Alternative Quant Equity ETFs”, with an excerpt below. RBC Global Asset Management has launched five new liquid alternative equity ETFs that employ quantitative, rules based methodologies for investment selections instead of relying on an index, according to a press release. The RBC Quant U.S. Equity Leaders ETF (RUE) is similar to RCE but focuses instead on U.S.-domiciled companies that pass muster in the Quant Equity Leaders investment process. It also has a management fee of 0.39%. The ticker symbol “RUE” represents Canadian-dollar-denominated units, while the ticker symbol “RUE.u” represents U.S.-dollar denominated units. 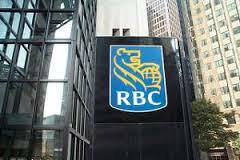 To continue reading about these five new ETFs from RBC Global Asset Management, click here.